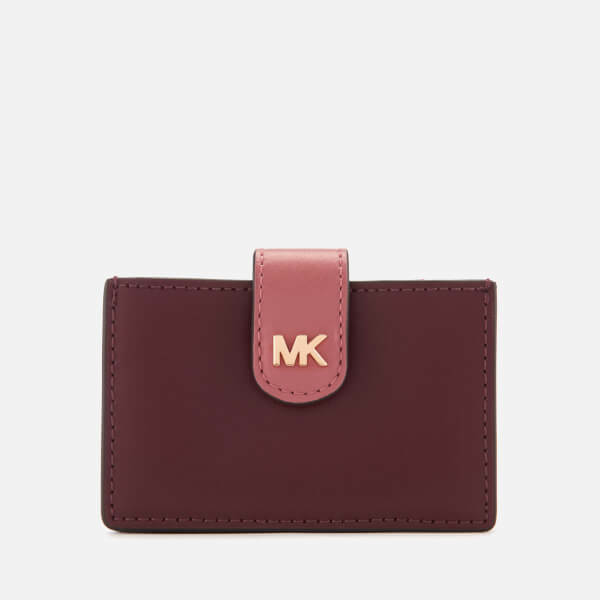 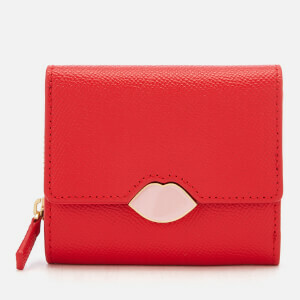 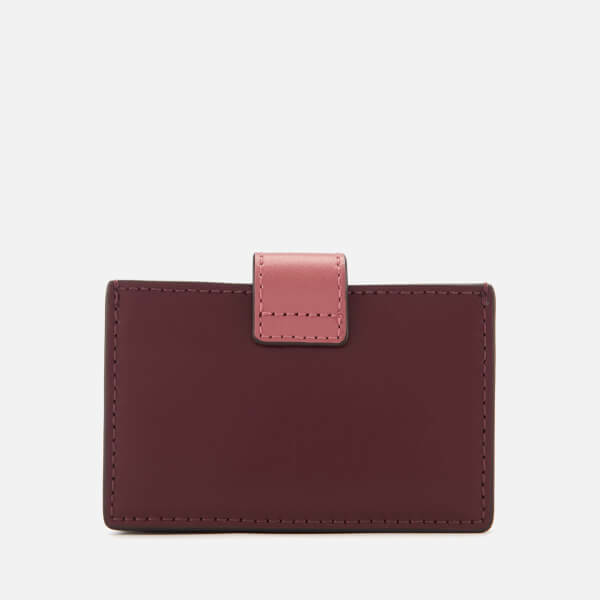 Burgundy leather card case from MICHAEL MICHAEL KORS. 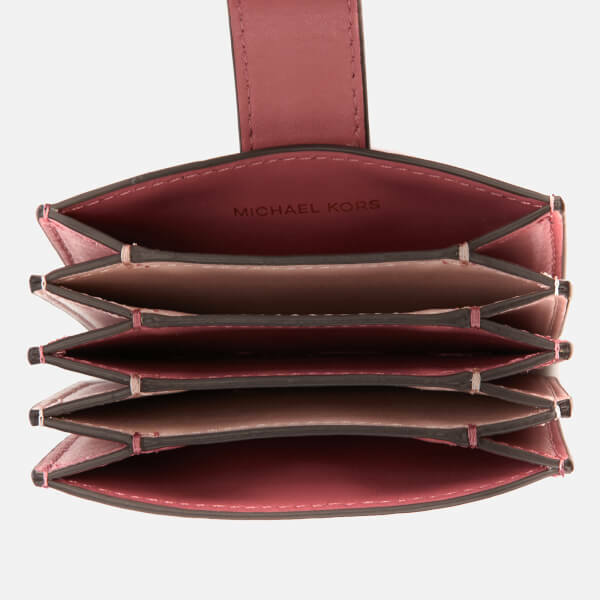 Secured with a press stud strap fastening, the ‘Money Pieces’ cardholder has an accordion design with five internal compartments in light pink tones. 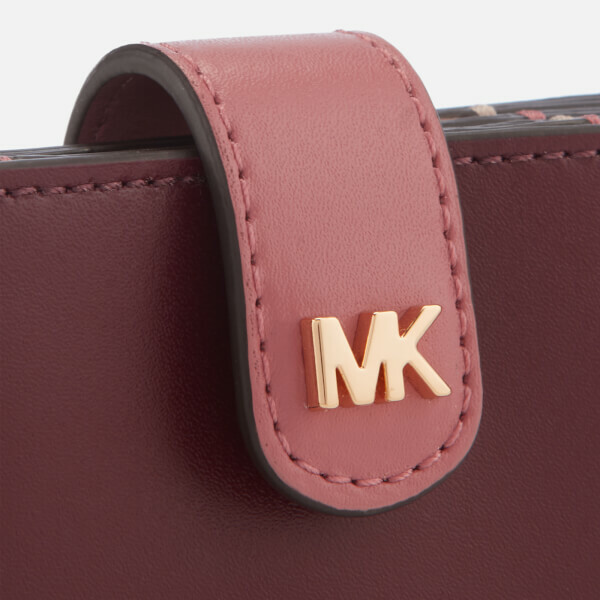 A metal gold-tone ‘MK’ logo at the front completes the design.